Well, that was quick. 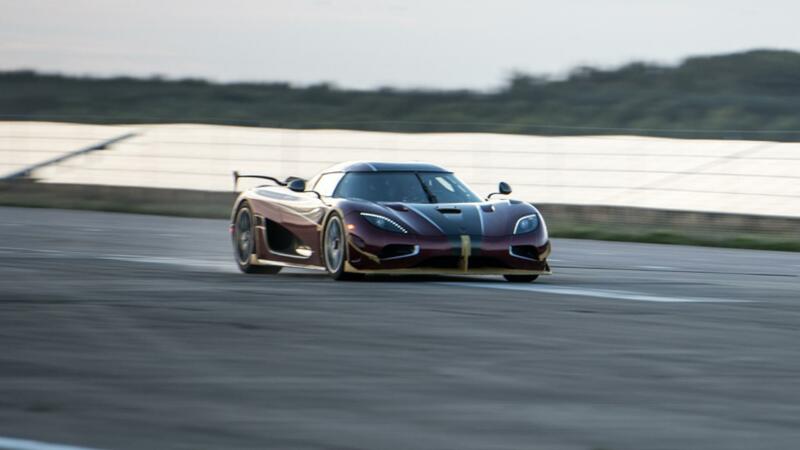 Koenigsegg was apparently quite sick of Bugatti’s bragging and decided it was time to prove who the real king of acceleration is. And before you ask, yes, the pun was totally intended. The Chiron was the first, and really only car to set a record for 0-400 and back to 0. It took the 3-million dollar Chiron just 41.96-seconds, a truly incredible feat when you wrap your head around it. Even crazier is that it took the Chiron just 9.3-seconds to come down from that fateful 249mph to zero. Imagine the amount of force you would feel slowing that rapidly. And yet, this is now the second-fastest run in the category. Koenigsegg was determined to wipe the floor with the massive Bugatti, and it did so in spectacular fashion. 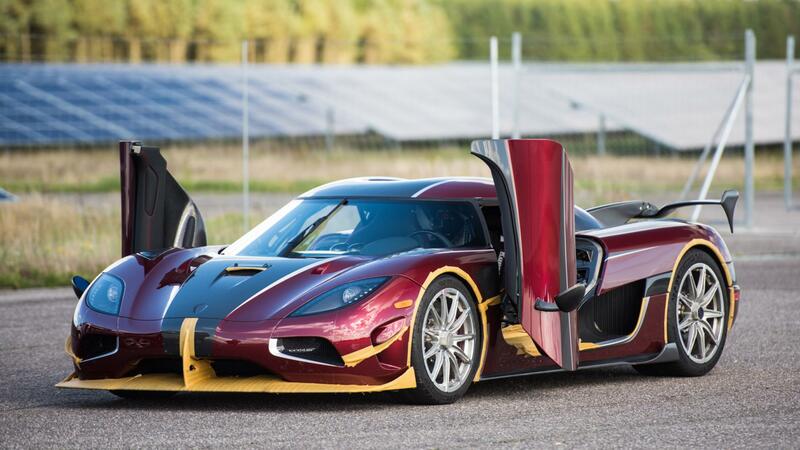 The Swedish based Koenigsegg elected to use there Agera RS to take the record and did so handily. The Agera RS was able to do the entire sprint in just 36.44-seconds, effectively crushing the Chiron’s hopes and spirits. And while beating the time by over 5-seconds in itself is impressive, it’s only half the story. The Agera RS won the shootout purely by acceleration. A side by side comparison sees the RS hit 0-400 in 26.88-seconds, while the Chiron took an extra 5.72-seconds, coming in at 32.6. Then came the braking, where the Agera RS took 9.56-seconds, and the Chiron gained back a measly .26-seconds, finishing the 400-0 in 9.3-secs. But the interesting part is the distance covered for both cars. The Agera RS absolutely starched the Chiron in total distance. At those speeds, 5-seconds becomes more like lightyears. And the results show. The distance between the Agera RS and the Chiron when they both hit 249mph would be 700 meters, which is over 7 and a half football fields. Holy hell. And when it comes to braking? Well, the Agera won there as well. While the Agera RS was technically slower, it actually did it in a shorter distance, ending it’s journey 8-meters shorter than the Chiron. Now here is just a little bit more food for thought. 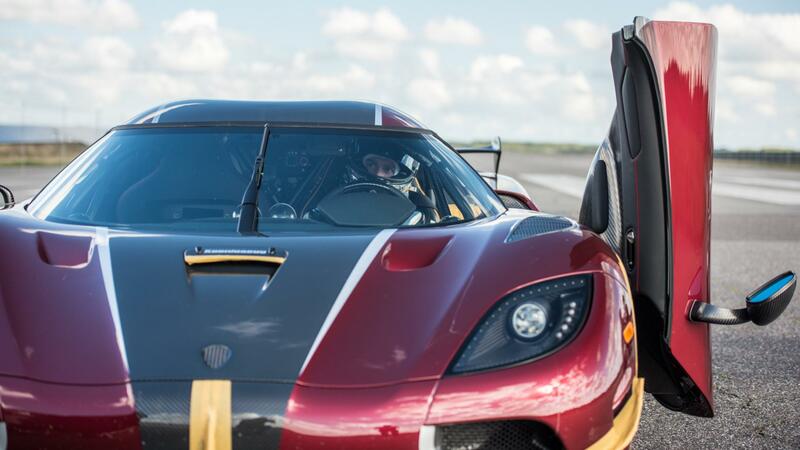 Koenigsegg had this speed test planned to take place at the Papenburg test track in Germany, but weather forced them to find a different venue. As I’m sure you know, there aren’t a lot of places designed for these kinds of sustained speeds. So, instead, they enlisted a WWII airbase in Denmark. The asphalt is said to be extremely slick, hindering the run to a degree. Because of the lack of traction, it’s said that the Agera’s traction control was stepping in through the first three gears. Also, I can only imagine that slick concrete also hindered the Agera’s ability to stop, resulting in a slightly longer overall time than expected. And yet the Agera RS still came out the undisputed king of speed. Possibly my favorite part is that the Agera did so with both a smaller engine and less horsepower than the Bugatti. Although, it doesn’t have that W16 exhaust note, which is pretty incredible, so at least the Chiron still has that going for it. As of right now, Koenigsegg has won the battle, but Buggati’s claims of 300mph with the right tires means this war will continue. Right now, it’s 1-0 Koenigsegg. AT the end of article you reference the Swiss and time pieces, but Koenigsegg is a Swedish company, not a Swiss…..two different places. Oops. Thanks for pointing that out Jeremy! Apparently, I got too excited about making that comparison!